Farming families in Taga, Gataivai and Matautu in Savai’i benefit from sustainably producing nutritious crops in lowland areas while helping to conserve the cloud forest eco-systems in the island’s highlands. The Food and Agriculture Organisation (F.A.O) has been working with the government in establishing Community Conservation Areas in these villages. Part of a much larger global environment project, the conservation areas were established to preserve the biodiversity and maintain the ecosystem services of intact forest protected areas mainly in the highlands. Under the slogan – Healthy eco-systems, Healthy food, Healthy people – F.A.O and its partners set up demonstration farms to show famers how to improve productivity of nutritious food crops, ensure sustainable agricultural systems in harmony with lowland forest eco-systems, and make a positive impact on peoples diets, health and incomes. 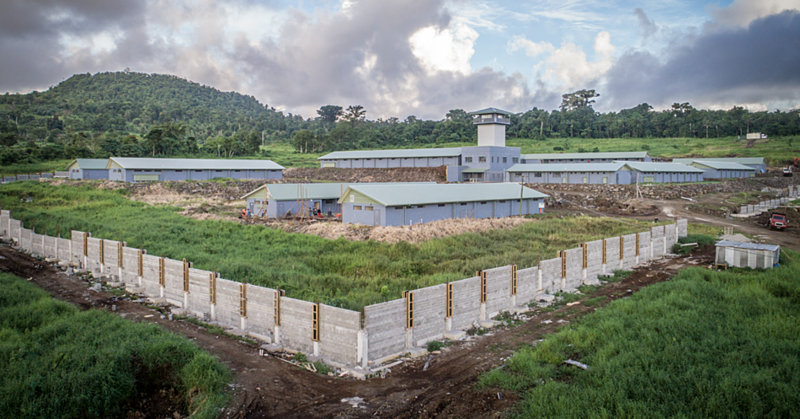 The demonstration farms in Taga, Gataivai and Matautu use tunnel houses and a variety of different types of farm equipment. F.A.O works in cooperation with the Samoa Farmers Association and Women in Business Development Incorporated in training farmers in Sustainable Land Management) and organic agricultural techniques. More than 120 farmers participated in these training activities. In Taga the demonstration farm is managed by the village women’s committee. The vegetable varieties being prepared for the next crop include Chinese cabbage, eggplant, chillies, okra, lettuce, kang kong, papaya, water melon, green pepper (capsicum), tomatoes and bananas, Root crops such as taro, yams and taamu to name a few have been distributed to the community. Fruit trees like Tahitian Lime and Rambutan have also been planted. The group actively work the demonstration site and receive direct benefit from the newly learned techniques. 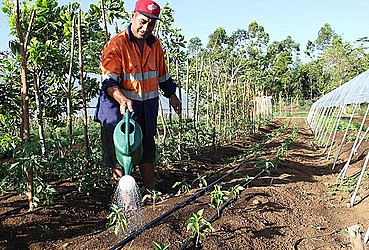 Many farmers apply their knowledge by using seedlings from the demonstration farms to produce a large variety of vegetables in their own farms. Local Taga farmer Notoa Sione would routinely trek to the highlands to plant taro. “Planting taro this way is time consuming and very hard work,” he said. He now has a farm made of several large plots close to the family home where he grows a variety of green vegetables. He supplies to vendors in the area. He also grows tomatoes, eggplant, chillies and head cabbages. 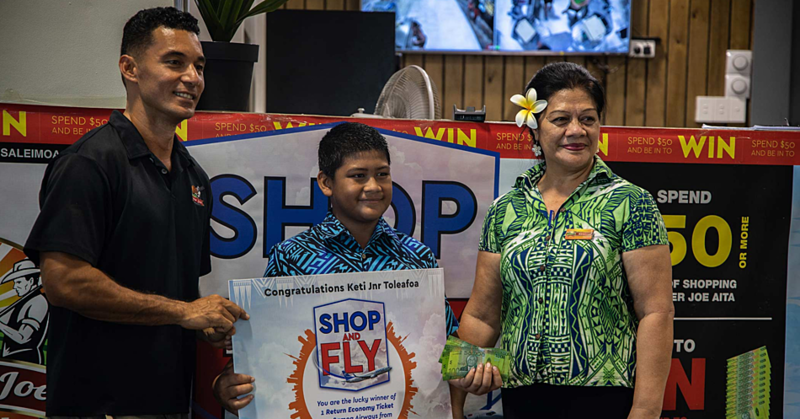 Sione said that Chinese cabbage were fast growing and high yielding which produced higher income for him and his family and they don’t have as long to wait to harvest unlike taro. F.A.O. Forest and Protected Area Management Samoa Project Coordinator, Lemalu Sami Lemalu explained that farmers plant taro in the highlands by clear cutting the virgin forests due to their high soil fertility. This farming method is not only difficult and time consuming it destroys the forests of the highlands and their capacity to retain and filter water. Once the protective forest cover is removed soil erosion and flash floods will not only impede the local water supply; it will also lead to sedimentation of the protective reefs and have a negative impact on fisheries. Farmers in general use 40 percent of the crops for their own consumption while 60 percent are sold on the market and supply tourist resorts located along the coast. The total value of crops produced since the beginning of the project in January 2016 is estimated at SAT $300 000 with returns to date of the harvested produce estimated at T$175 000. Sione said he was very grateful for the project and the knowledge and techniques he has learned. Meanwhile he established his own nurseries to grow seedlings for transplanting to his farm. The activities are supported by the Global Environment Facility – Pacific Alliance for Sustainability – through the Forest and Protected Area Management project. Its global environmental objective is to strengthen biodiversity conservation and reduce forest land degradation. 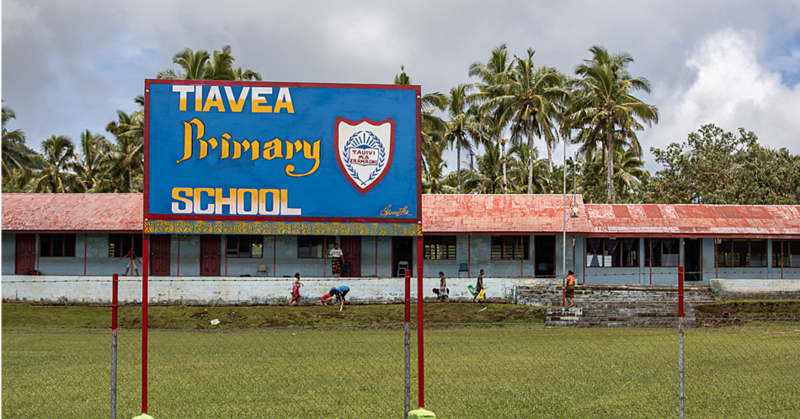 The F.A.O/G.E.F Forestry and Protected Area Management project covers Fiji, Niue, Samoa and Vanuatu.